Sunday afternoon at home, changing sheets and mentally preparing for the new week. 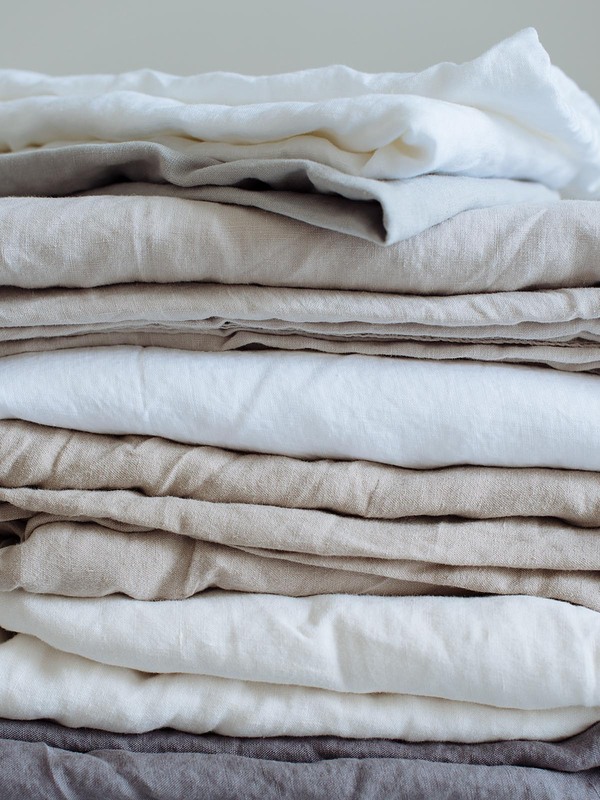 A pile of washed linen sheets waiting to be ironed. If I only had not let them dry completely, ironing would be effortless. Few things beat the feeling of crawling in bed between freshly changed sheets. I usually change sheets on Sundays, so it serves as a welcome ritual for the new week. Linen sheets are wonderful to sleep on. They are so easy to care and when you invest in good quality sheets, they last forever and only get better in use. With its rich texture, linen feels pleasant against the skin. The fabric breathes. It does not retain moisture like cotton, and it has exceptional thermal features providing warmth and coziness in winter and coolness in summer. Linen has no lint or pilling tendency and it resists dirt. Therefore white linen stays white longer than for example white cotton. A natural antiseptic, linen is great for your skin as it does not provide a favorable living environment for bacteria. 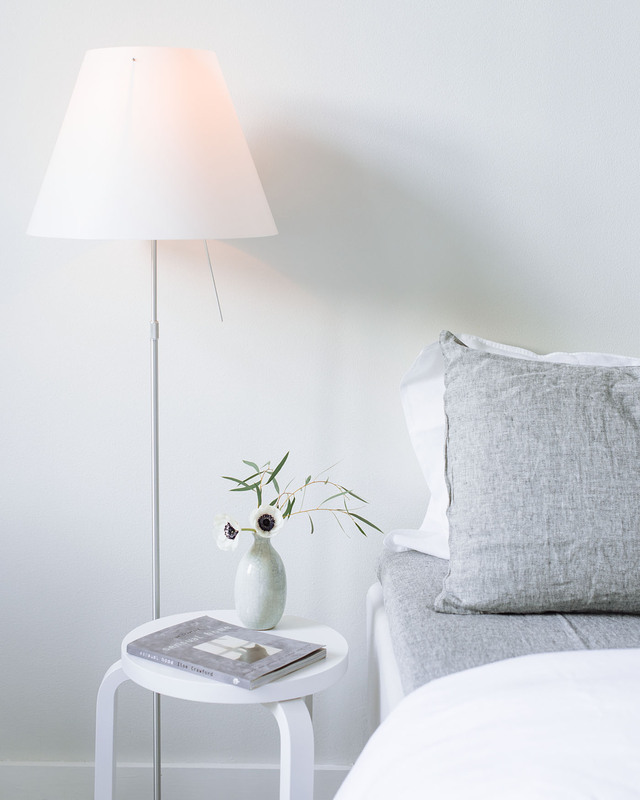 Any inflammation or irritation on your face, try changing your pillow cases into linen. Off all the textile houses making linen bedding, I adore the traditional ones such as Society Limonta, Volga, and Libeco. Buying their sheets is the ultimate treat but I liberally mix and match different brands, and I have also ordered several sets from H&M Home. In terms of price compared to quality, I like their white linen duvet set the best. It ages beautifully and gets only softer by wash and use, while the darker colors begin to look worn more easily. If you love linen but are tired of the wrinkled linen look that has been around for some time now, try ironing your sheets while they are still damp after washing, or have them laundered.